Nintendo has unveiled Cadence of Hyrule – Crypt of the NecroDancer Featuring The Legend of Zelda, a new adventure, and a Switch in which the game mechanics of Crypt of the NecroDancer will be proposed within the world of The Legend of Zelda. At the head of the news we report the first trailer. “In the role of Link, or even princess Zelda, you’ll explore a world and randomly generated dungeon to save Hyrule. Every beat of every song remixed to The Legend of Zelda gives you the ability to move, attack, defend yourself and to the other, and then proceed to the rhythm and show enemies who’s boss! By modern lynel to the classic soldiers of Hyrule, you have to learn to predict the movements of each one of the enemies in pixel art of the game to get the better of him in fights. You can use an arsenal of tools taken from the series The Legend of Zelda, as well as a wide range of weapons and spells for Crypt of the NecroDancer, to be ready to face the boss, the most evil of Hyrule. This time, they have blended with the magical tools to take on new and formidable forms! 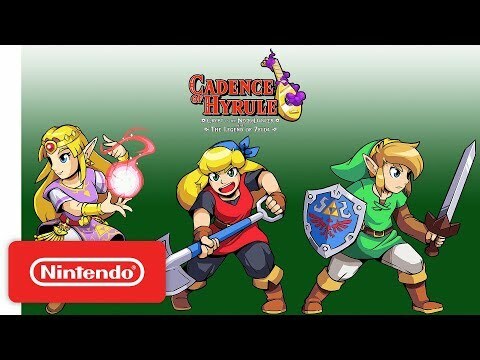 Cadence of Hyrule – Crypt of the NecroDancer Featuring The Legend of Zelda will be released on the Nintendo Switch in the course of the spring 2019.